Back in October, Nvidia began pushing out another variant of the GTX 1060, this time trading out GDDR5 memory for GDDR5X. Now, it looks as though Nvidia is gearing up to give the GTX 1070 the same treatment. We’ve known for a while now that Nvidia has an excess supply of Pascal GPUs on its hands that still need to be shifted. If a recent product listing on Zotac’s website is anything to go by, the plan is to quietly rollout new GTX 1070 graphics cards with higher-end GDDR5X memory, as we saw with the GTX 1060 a couple of months ago. 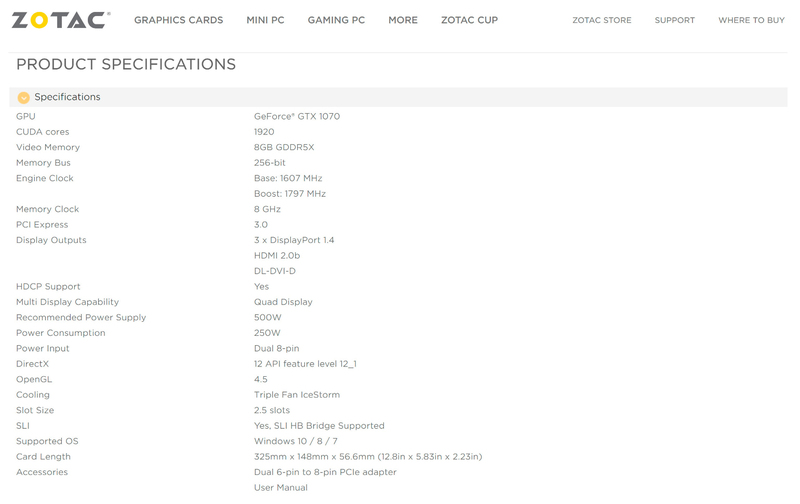 Zotac’s website was updated this week with a new listing for a GeForce GTX 1070 AMP Extreme with 8GB of GDDR5X memory, under the new product code “ZT-P10700Q-10P”. This is expected to be amongst the first aftermarket GTX 1070s to boast GDDR5X over GDDR5. From what we can tell, the Zotac GeForce GTX 1070 AMP Extreme Core GDDR5X houses a 256-bit interface and base/boost clock rate of 1607/1797 MHz, exactly the same as the GDDR5-clad GeForce GTX 1070 AMP Edition. 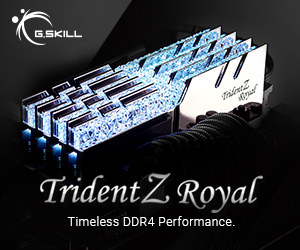 The main differences here are the addition of GDDR5X memory and oddly, an increase in TDP, rising from 220W to 250W. The GDDR5X edition of the GTX 1070 is not official just yet, but given that the GDDR5X GTX 1060 had a quiet rollout, we would expect the same to happen here. 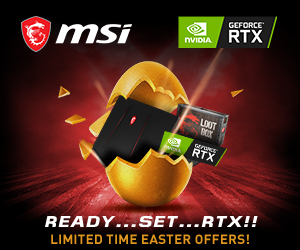 KitGuru Says: If Nvidia’s new RTX 20-series is out of your budget, then it looks like you’ll still have time to get your hands on a cheaper Pascal-based graphics card instead. Are many of you currently looking into getting a GPU upgrade? Are you considering a GTX 10-series card over a newer RTX GPU?